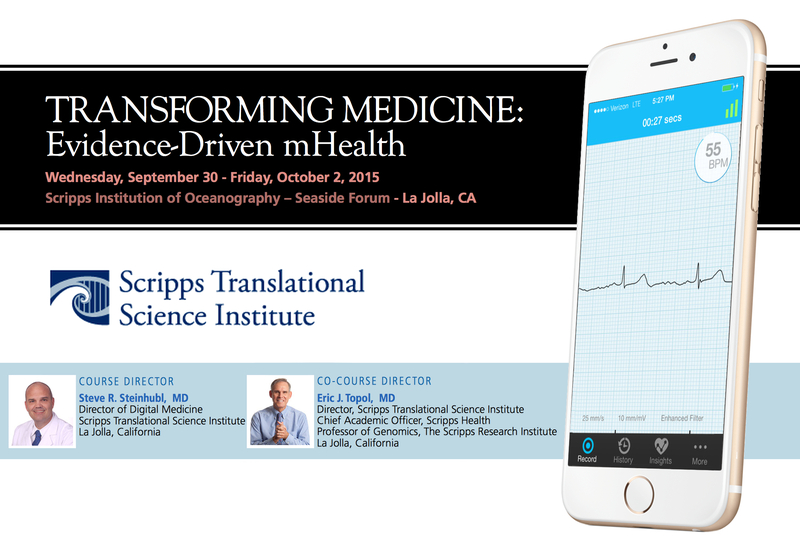 “Transforming Medicine: Evidence-Driven mHealth” will be the focus of the first Scripps Health Digital Medicine conference to be held from Wednesday 30 September through to Friday 2nd October 2015 at the Scripps Institution of Oceanography Sea Side Forum (click here to view the detailed .PDF event programme). The course is designed to explore the clinical evidence necessary to help jumpstart efforts to drive widespread incorporation of evidence-based mobile health solutions for more-personalized, individual-centric care to improve outcomes, advance satisfaction and decrease costs. individualizing Medicine, Transforming medicine: Evidence-Driven mHealth, if we measure it we can change it, Virtual reality at home, Transforming heart Failure care, mhealth in obesity Treatment/prevention, can tracking stress change it?, regulatory hurdles; Balancing Snake oil and innovation and The Apple of healthcare. Registration starts at a very reasonable $345 ($75 for students) so waste no time registering at www.scripps.org/mHealth as this will no doubt sell out very quickly. If you would like to exhibit at the event contact Corrine Yarbrough (+1.858.5545742 /Yarbrough.Corrine@Scrippshealth.org). Click here for more info on Scripps Health’s Translational Science Institute. Related: Find a mHealth event near you on this global listing of mHealth events for 2015.